Acting Bangladesh test skipper Mahmudullah Riyad said they are desperately looking to level the series against Zimbabwe as their back is against the wall after losing the first test in Sylhet. He was speaking at a pre-match press conference on Saturday (Nov 10) at the conference room of Sher-e-Bangla National Cricket Stadium at Mirpur. The Bangladesh skipper said they are determined to come back strongly as they have no other option. 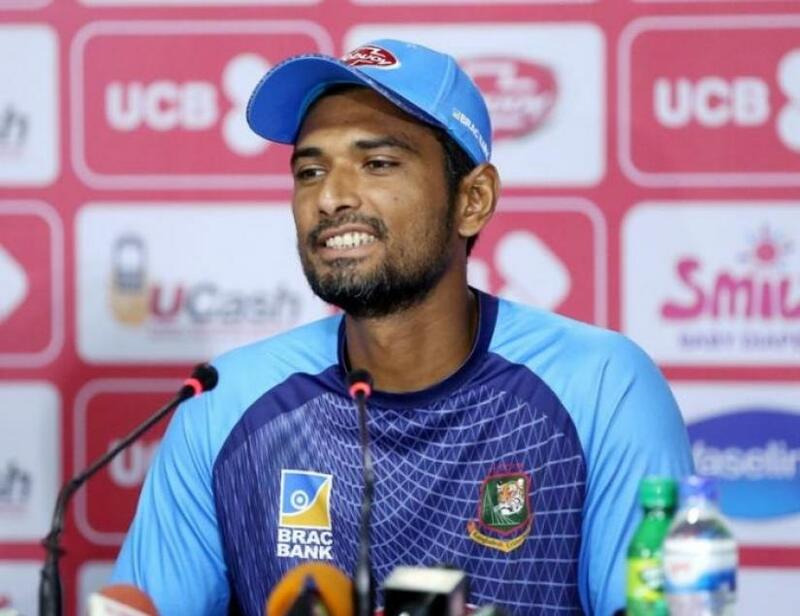 Mahmudullah said after the first test match they had a positive discussion with the team members and the mistakes which they sorted out would not be repeated in the second match. Zimbabwe inflicted a massive 151-run defeat on Bangladesh in the first match to take 1-0 lead over the Tigers. Bangladesh are on a four-match losing streak, as they lost seven of their last eight Tests following the historic win against Australia last year. But the defeat against Zimbabwe, which registered their first overseas Test win after 17 years, came as a massive blow. Replying to a question Mahmudullah said they would have a few changes in line up but there is hardly any possibility of Mushfiqur going up in the order as he is expected to keep wickets so he needs some rest and number five or six would be the best place for him to bat. Commenting about the pitch Mahmudullah said Mirpur’s wicket is always a little unpredictable and they would try to play according to the pitch conditions.